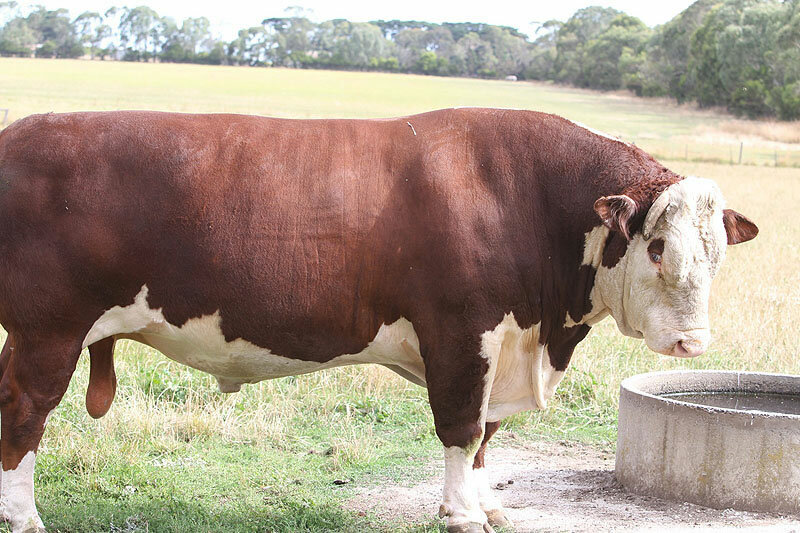 Warringa Herefords had a very successful Stock & Land Beef Week Field Day on 5 February 2018. 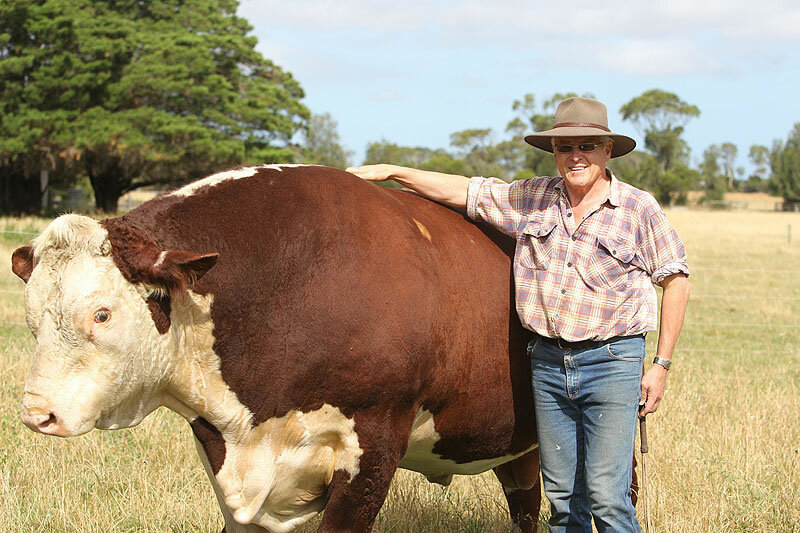 Many regular and first time visitors and clients attended to inspect the Warringa herd, including their young rising two year old bulls which were for sale. 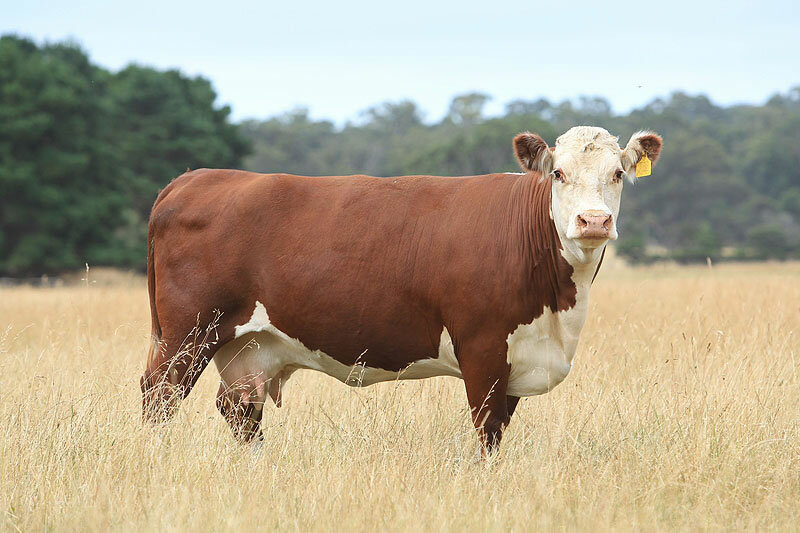 Warringa Macka M5 (S) – Sold for $10000 to new clients John & Nola Ross trading as C J Pendergast & Co of Omeo Station. Benambra. Vic. 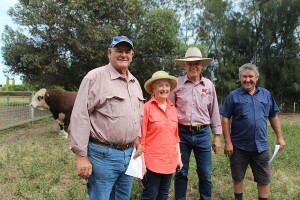 (Pictured above with Bill and their agent John McAinch of Elders). 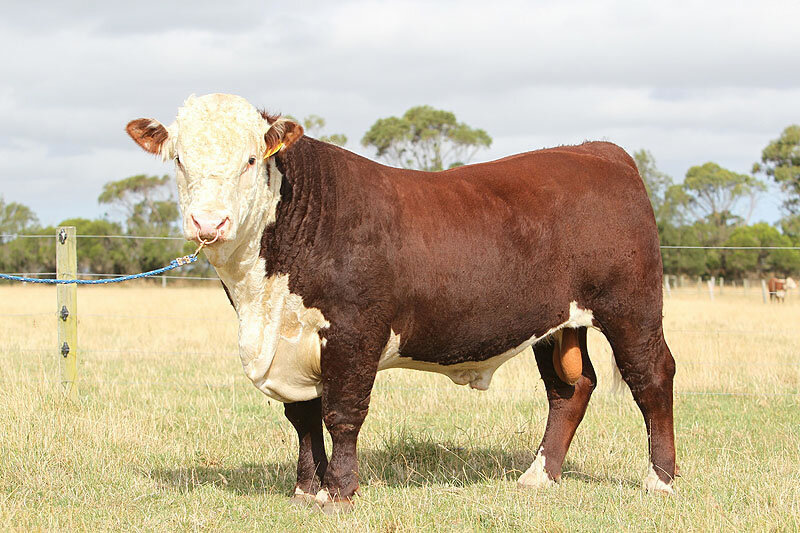 Warringa Maestro M25 (P) – Sold for $10000 to new clients Noel & Ashley Walpole trading as S B Walpole & Sons of Woodside. Vic. 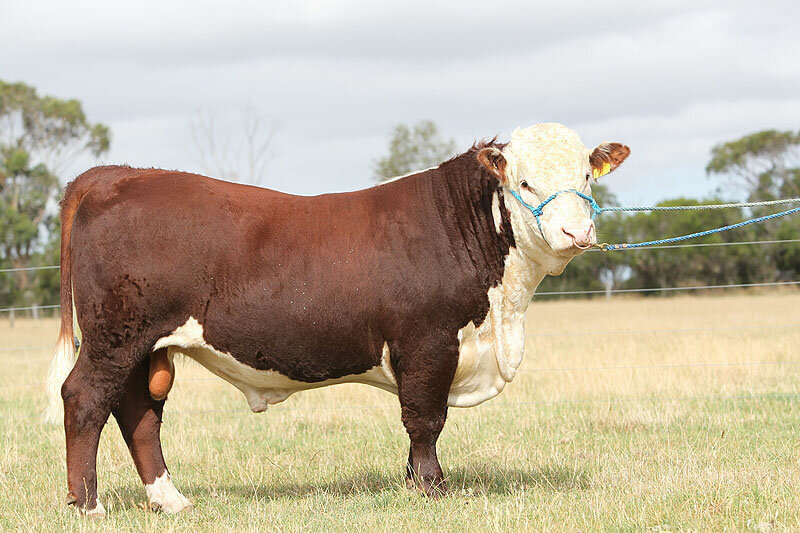 Warringa Montana M13 (S) – Sold for $5000 to repeat client John Colbert. Yarram. Vic. 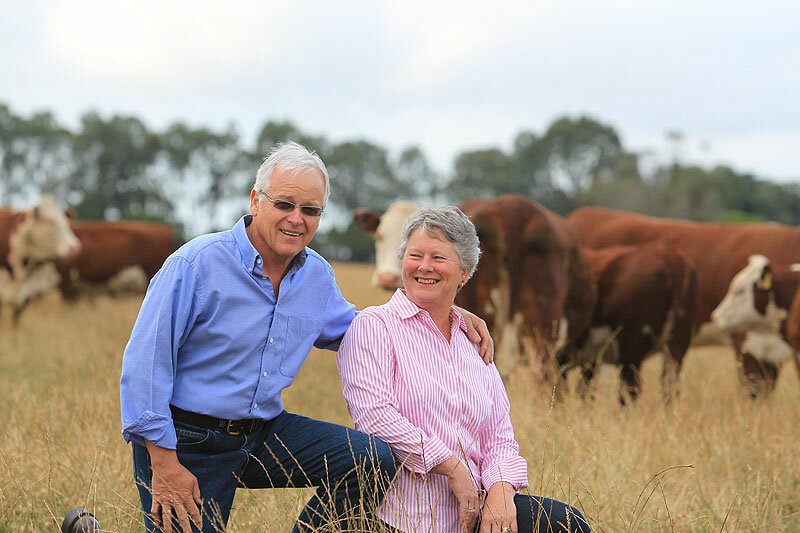 Warringa Herefords thank all clients and visitors to their Stock & Land Beef Week Field Day for their support, enthusiasm and confidence in our cattle and breeding programme and their complimentary remarks.